Formal consultations have started concerning the job losses and branch closures for Your Move and Reeds Rains, revealed yesterday by their parent firm LSL Property Services. "The simplification and streamlining of the Your Move and Reeds Rains operations is expected to result in a headcount reduction. This will be minimised wherever possible by the franchising of branches, the merging of branches with keystone branches and offering alternative employment where available within the group” says a statement from the company. It is not known how many jobs will be lost as a result of the restructuring, but one newspaper this morning puts the number at risk as 500. “Between two to six people are thought to work in each branch, meaning around 500 jobs could go” says the Daily Mail. 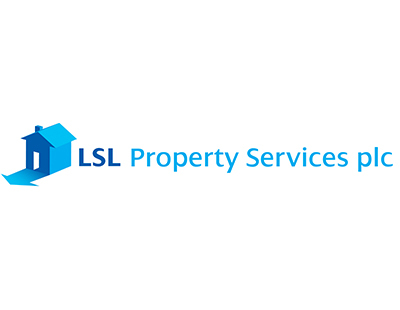 It is thought that the 400 or so LSL Property Services branches will see 124 closures, while many others will be sold off to become franchises. Some offices will merge into so-called 'keystone branches' in core locations, while other branches will close. It is believed 43 other branches which won't merge or be sold will simply close. London’s Marsh & Parsons network, also owned by LSL Property Services, remains unaffected by the restructuring. There has been no announcement about the company’s investment - alongside Savills and other non-agency firms - in the online operation Yopa. The LSL share price remained largely unmoved by yesterday’s announcement, ending the day up just under one per cent. 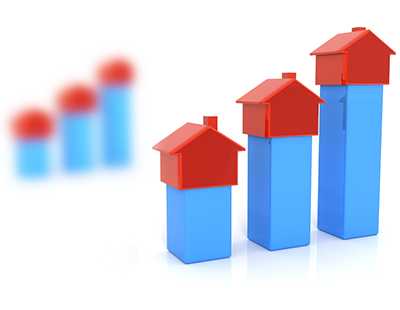 Like many agencies, including online rival Purplebricks, the performance of LSL in recent months has been well below its longer-term best. Five years ago, in March 2014, LSL saw an all-time high of 480p per share; that has slipped gradually downwards, despite relatively strong trading performances by the company. In August last year it was at a recent-high of 294p but has been moving broadly downwards since the time. I read with great sadness the way the communication to staff on this matter had been handled. Who do the BODs think they are treating their staff this way. It was accepted perhaps in the 80s but in this day and age you would have thought there would have been a bit more empathy with those about to loose their jobs. It seems to me the almost bully boy tactics of the corporate run Agencies and complete lack of understanding of what makes an estate agency business tick is lost on boards who have never sold a house in their life; where profit is the only important thing.I heard about a corporate agent conference the other day where corporate profits were discussed with a lot of back slapping by those at the top of the pyramid.....but with the message to the area management that we expect you to now work every Saturday and oh,yes,by the way you dont get to keep any of the profits and you need to cut your costs this year as we have no new ideas as to how to grow revenues bar working you lot into the ground - we cant have another year of reducing profit !.Shameless really for a peoples business.You get what you sow. According to research by Caveathomebuyer YOUR MOVE has just 8 properties for sale within 3 miles of its Long Eaton NG10 branch and also just 8 within 3 miles of its Beeston NG9 branch which are in the Nottingham area. CLearly, this is unsustainable. This count excludes those sold STC. Your Move also has a branch in Wollaton NG8 so there is some overlapping and the nearest comparable corporate chain is Frank Innes which have many more properties for sale. Update 14/02/18. The period of consultation with staff was shortlived and resulted in no love lost between staff and bosses this Valentine's Day. Your Move has abruptly shut its Stapleford NG9 and its Long Eaton NG10 branches in the Nottingham area. The nearby Beeston NG9 and Wollaton NG8 branches are franchises so they are safe for the time being. But what about the landlords whose properties were managed by Stapleford and Long Eaton branches? They are being directed to the Nottingham city centre office so I imagine they will defect and find a more local agent.